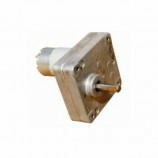 This is a high torque DC gear motor providing 32Kg-cm torque. 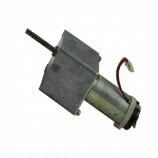 The motor generates a low RPM which is very ideal for making gripper to pick and place heavy objects with greater accuracy. 150RPM 12V DC motors with Metal Gearbox and Metal Gears. 6mm Dia shaft with M3 thread hole. Length 63 mm without shaft. No-load current = 800 mA, Load current = upto 7.5 A(Max). 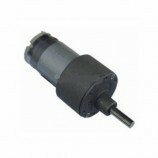 These types of DC gear motors are normally used in robotics purposes. 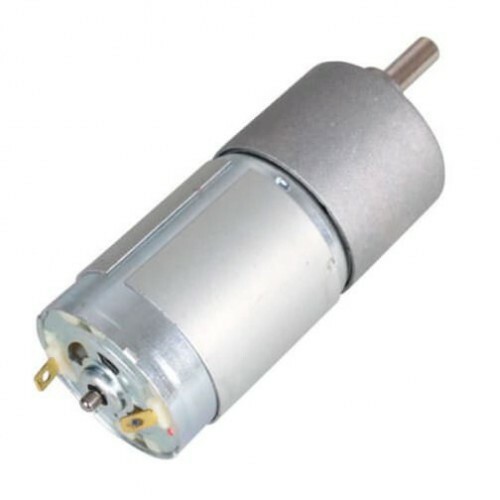 Also Searched as : 150 rpm high torque motor, High torque dc motor, High torque 12v dc motor, 12v high torque motor, 12v 150 rom high torque dc motor.